The Chatham County Center of North Carolina Cooperative Extension cordially invites you to join us for our annual Chatham County Farm & Industry Tour on Tuesday October 7, 2014 from 8:00 a.m.-4:00 p.m. For over 20 years the Chatham County Cooperative Extension team has led this popular tour to increase awareness of Chatham County agriculture, forestry, and industry. Tickets cost $15 per person and include transportation, snacks and a local lunch. Tickets must be purchased in advance to reserve your spot and are available at the Cooperative Extension office in the County Agriculture Building located at 65 E. Chatham Street in Pittsboro. Checks should be made payable to Chatham County Cooperative Extension. The tour is limited to 85 people on a first pay-first served basis. The Farm & Industry Tour is sponsored by the Chatham County Farm Bureau. Nestled in the western part of beautiful Chatham county is Don E Mor, one of the largest breeding farms of Lusitanos in North America. Lusitanos are a breed of horse which originated in Portugal and are renowned for their sensitivity and their affinity to bond with their rider. 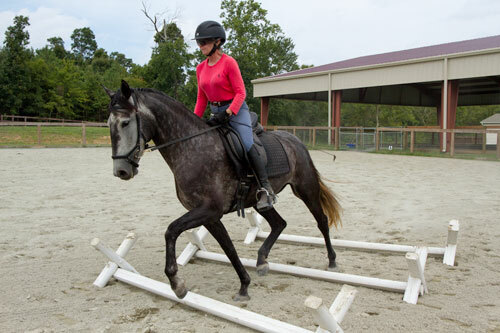 They are athletic, versatile, docile yet courageous horses suited for every area of equine competition. The Farm encompasses 135 total acres – 50 acres dedicated to hay production and conservation and 50-60 acres of well managed pasture. Don E Mor places utmost importance on conservation of natural resources, carefully protecting the waters of Tick and Welches Creek with planned animal exclusions to prevent soil erosion and conserve forage cover. With seven year-round workers they invest in Chatham county by looking for help here first. In the summer they offer even more positions to locals to help them through the intense training and selling seasons. At Don E Mor their priority is to invest in Chatham County and purchase as much as possible within the county’s borders. 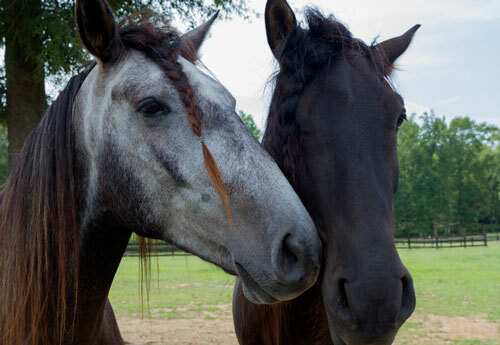 They are proud to consider their horse farm an important segment of Chatham County’s rich agricultural tradition. Visit their website for more information. 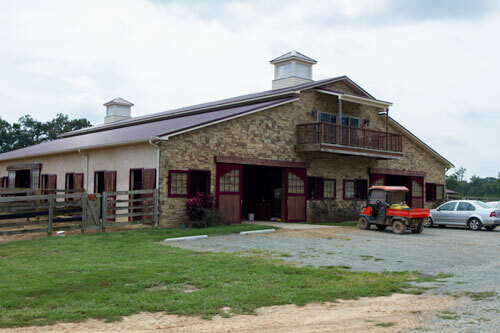 Dunlap Farms in Bear Creek, NC is a family owned and managed cattle farm. Ben Dunlap and his parents run the business on about 1,000 acres of grazing land. Around 1970 his father, Harvey “Red” Dunlap, and a business partner bought the Bear Creek property to run a cow/calf operation. In 1993 Ben bought out the business partner and has been managing the property ever since. The farm now raises cow/calf pairs, stockers, finishing cattle, bison and a menagerie of other livestock not failing to mention his daughters, Savannah and Gage’s barrel racing horses. 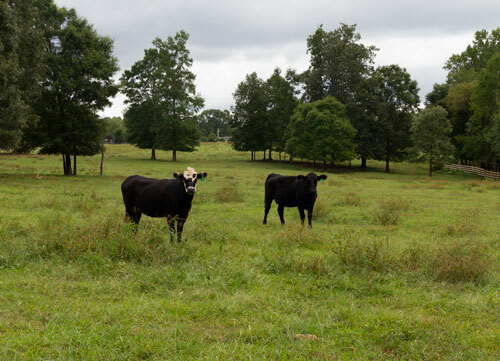 The beef that Ben raises is featured at both the Pittsboro Roadhouse and Greenleaf Restaurants. The animals are grass fed until they reach an approximate weight of 800 pounds and then are fed a grain diet along with grass to finish the meat. There are no additional hormones added and if antibiotics must be administered because of health issues with the animals they are marketed separately. Carolina Wood Enterprises, a pine mill sawing Southern Yellow Pine, is owned and operated by the Culberson family. 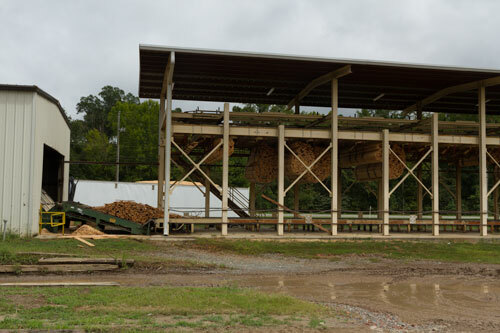 The mill buys Southern Yellow Pine logs timbered from within an 80 mile radius of Siler City. Employing 57 workers – including 7 Culberson family members – they are a small mill by today’s pine standards and aim primarily for the niche market of “appearance grade” boards. Such boards are used for aesthetic fencing – pickets, post and rail, etc. The Culbersons have operated Carolina Wood for the last four years after purchasing the operation from the Wrenn Brothers. They have also owned and operated a hardwood mill – Carolina Lumber – for 15 years. Teague Cabinet Shop has been in business for 54 years in Bennett. The shop was started by Julian Teague and he was joined by his son Maurice as soon as he was old enough to help out. It is now a three man operation that specializes in custom solid wood cabinets and furniture. 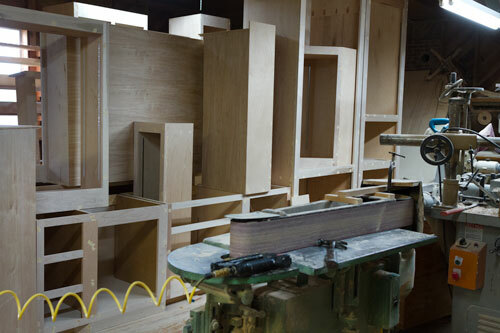 Teague Cabinet Shop has built and installed cabinets all over the state and as far away as Maine. We will also learn about beekeeping at this stop. 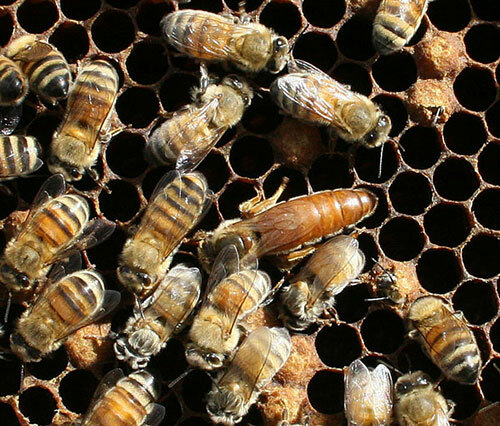 Maurice’s wife Christina has been keeping bees sustainably for over 20 years. She sells honey and other products from the hive including candles, pollen, and beauty products such as lotion, lip balm, and soap, all made from wax and honey. We will get to safely view an observation hive (like watching “Bee TV” with the honey bees encased behind glass) and also sample some local honey. 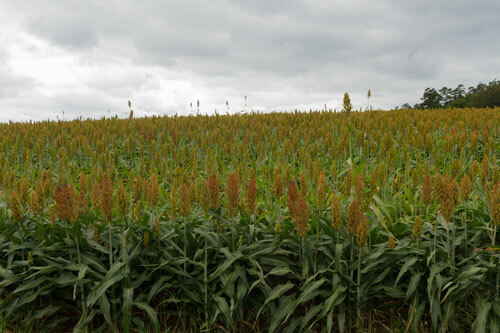 Finally, visitors will learn about the Teague’s milo crop, a grain sorghum grown for livestock feed. Carolina Meadows: pick up 8:15 a.m., return 4:30 p.m.
Siler Crossing Shopping Center in Siler City (parking lot behind First National Bank): pick up 8:15 a.m., return 4:00 p.m.
County Agriculture Building in Pittsboro (front parking lot at 65 E. Chatham St.): pick up 8:45 a.m., return 4:00 p.m. Gathering Place at Fearrington Village: pick up 8:30 a.m., return 4:30 p.m. Wear comfortable, flat shoes and be prepared for all weather conditions. For more information, call the Chatham County Cooperative Extension office at 919-542-8202.